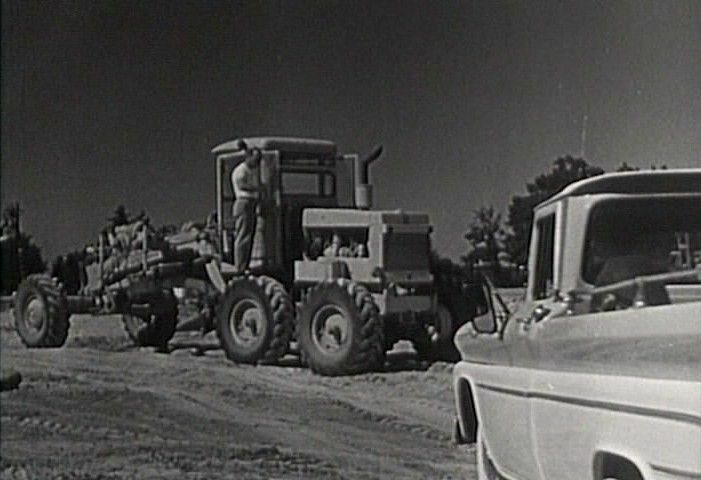 IMCDb.org: Wabco 440 Road Scraper in "Route 66, 1960-1964"
Definitely Wabco motor grader. Models were 330, 330-H, 440, 440-H. 440-H might be too new for this show. Call it a 440. Why isn't this called a Wabco grader when it is clearly a Wabco grader?